Fantastic apartment on the seafront completely renovated. The building is located on the coast of Icod de los Vinos on San Marcos Beach. 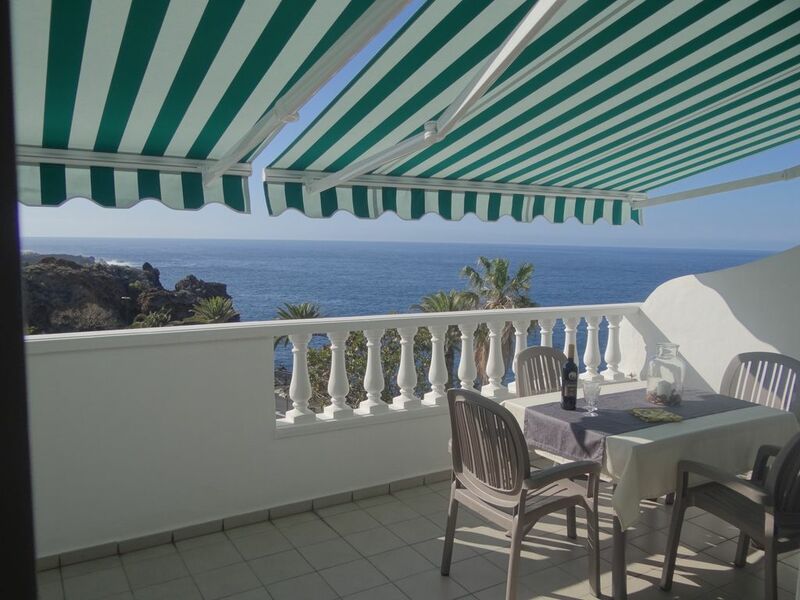 It has a bedroom, bathroom, fully equipped kitchen, a spacious living room with sofa bed and a magnificent terrace of 17m with direct views of the sea. By a promenade, you can directly access the beach in just 3 minutes. The accommodation is perfect to spend a quiet holiday away from the crowded tourist centers. The famous city of Icod de los Vinos is just 2 km away with numerous museums, restaurants, supermarkets and shopping areas. Komplett renovierte Wohnung mit guter Ausstattung, alles wie in dem Angebot beschrieben. Das Appartement war genau wie auf den Fotos. Alles ist noch relativ neu. Das Bett ist sehr gut. Der Eigentümer ist sehr engagiert und zuvorkommend. Er war stets erreichbar. Wir hatten einen schönen Urlaub. Sehr geräumiges und sehr gut ausgestattes Apartment in San Marco. Der Ausblick in Richtung Garachico ist wundervoll. Für Individualreisende sehr erholsam. Millenary Drago and old town of the City of Icod de los Vinos declared of good of cultural interest. Cueva del Viento (third largest volcanic cavity in the world and largest in Europe.